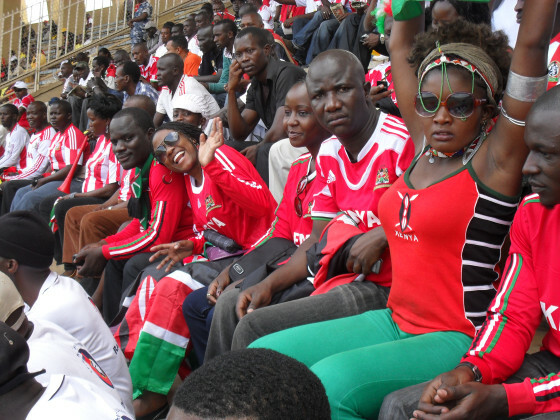 When will Harambee stars fabe have reason to celebrate? There is an impasse between the Kenya Premier League which is mandated by FIFA to run Kenya’s top football league and the FKF, the body mandated by FIFA to run the sport of football in Kenya. FKF led by Sam Nyamweya are determined to take over running the league and have insisted on expanding the league to 18 teams. The KPL meanwhile insists on keeping control of the league and maintaining the league at 16 teams. KPL took over running the league over 10 years ago because under the Federation was poorly run, rife with corruption and questionable boardroom decisions. The corrupt way in which Shabana FC were promoted to the top league is typical of how football was run back then. The advent of the KPL that is run by clubs has brought stability, sponsorship and the fans have started to troop back into the stadium. Should FKF take over , there is a danger that the league will return to its dark days. To resolve the impasse, FIFA sent an independent expert consultant, Robert Nieman, to help iron out thorny issues. Nieman compiled a report in which he said that the increase is motivated by political fights between FKF and KPL.Nieman went on to say that Nyamweya influenced promotion of Shabana. He further recomended that the league stick to 16 teams as recomended by KPL. FIFA then demanded that FKF share the report with all stakeholders including the KPL. However Nyamweya and his team refused to follow FIFA instructions and are sticking to their guns. With Nyamweya demanding to take over the league, there is now an impasse that could foment the creation of parallel leagues, a farcical situation that occurred in Kenya exactly 10 years ago. In past years it has been said that FKF corruption was being enabled by FIFA. However we now have a case where FKF is openly disobeying FIFA. Whereas FIFA typically looks down on government interference, this is case where the government can step in to enforce the FIFA recommendation which Nyamweya and his team are openly disobeying. Surely FIFA cannot suspend Kenya if the government steps in to enforce what FIFA has mandated. Its a given that Kenya football is likely headed nowehere with Nyamweya and his team in charge. With them in charge, we can expect further humiliations are the hands of teams like Lesotho and Comoros. Its time for Mr. Wario to work with FIFA to bring about the changes that are badly needed in Kenya football. He should take this opening with both hands. This entry was posted in Kenya Football News and Commentary and tagged FKF, Hassan Wario, sam Nyamweya. Bookmark the permalink.